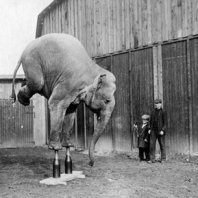 Linkedin, is it CV, Resume, balancing act? Linkedin. Is it CV, Resume or Balancing Act and Business Card? Home » Blog » Linkedin » Linkedin. Is it CV, Resume or Balancing Act and Business Card? Beyond being just a cold callers dream come true, Linkedin has jostled and elbowed its way to the top of an unsteady pile of business networking sites. Often referred to as Facebook for grownups, what is its actual use? Is Linkedin a Facebook for grownups? Should you be using it and how? Who will be trying to look at your Linkedin profile? You have to view the profile page as a Balancing Act, an extension of a Business Card . Give enough detail to entice and draw attention but be mindful about being to open with intrinsic corporate information, financials or even personal detail. Never copy and paste your CV into your Linkedin profile. Think about it. Would you print off a couple of thousand copies of your CV and mail them to random people around the globe? Use Linkedin as an extension into the digital business world but think about the content first.